They published their findings in the December 2013 issue of Environmental Science and Technology Letters: Fossil carbon in particulate organic matter in the Gulf of Mexico following the Deepwater Horizon event. In this 2013 study, scientists report that tiny particles floating in the deep Gulf water column have organic carbon in them that matches the carbon released as methane from the Deepwater Horizon spill. Chanton estimates that “28 to 43% of the carbon in these particles is from fossil methane from the spill.” The team used carbon isotopes (13C and 14C) to match carbon from methane with carbon in plankton and floating particles. Both studies show that the amount of oil spill carbon increases as the size of things gets smaller because floating particles are smaller than plankton. These methane-eating bacteria (methanotrophs) are very efficient in converting the gas into biomass. Chanton explained that “methanotrophic transfer to biomass can be as great at 40-50%” as compared to “more traditional food webs where trophic transfers that are generally about 10% – meaning that 90% of the food consumed is lost to produce energy and carbon dioxide.” He also said that this high transfer rate of methane into biomass is “significant and allows the highly successful symbiotic relationship of methanotrophic bacteria with seep fauna, particularly mussels.” The researchers believe that this appears to be true for the wider Gulf, too. 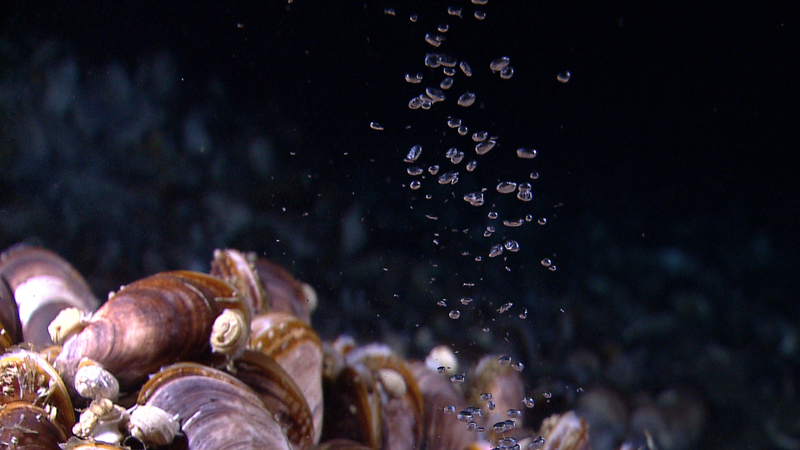 Chanton said, “As much as 40% of the methane released from the spill went into bacteria, which then became small particles ingested by plankton.” The team described their model for this process as methane → bacteria → particles → plankton. The study’s authors are J. Cherrier, J. Sarkodee-Adoo, T. P. Guilderson, and J. P. Chanton (Environmental Science and Technology Letters, 2013). This research was made possible in part by a grant from BP/The Gulf of Mexico Research Initiative (GoMRI) to the Deepsea to Coast Connectivity in the Eastern Gulf of Mexico (DEEP-C) consortium, the Ecosystem Impacts of Oil and Gas Inputs to the Gulf (ECOGIG) consortium, and the Florida Institute of Oceanography (FIO). Other funding sources included the National Oceanic and Atmospheric Administration NA11SEC4810001 and the Environmental Cooperative Science Center.